Movies are all about awesome entertainment, extraordinary characters and mind-blowing sets. Those sets sometimes include custom-made chairs, made with extraordinary attention to detail and just the right “look and feel” to capture the spirit of a scene or character. 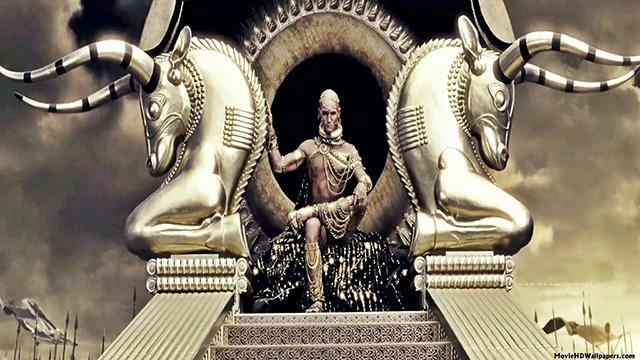 Xerxes Throne is a solid gold masterpiece befitting a man who was not only Emperor of Persia, the Levant, Asia Minor and Greece but the Pharaoh of Egypt. He ruled from 486 to 465 BC. In the epic 2006 fantasy war film, 300, the gigantic throne carrying the God-King Xerxes is transported by a phalanx of slaves. Functional, flamboyant and futuristic, Dijinn chairs grace the lobby of Space Station Five in the 1968 sci-fi movie, 2001 A Space Odyssey. Now, 50 years later, replicas of the original pieces are rare and highly collectible. Daniel Craig may be the latest James Bond character, but the M1 spy has been around since the 1950s. In the 2006 remake of Casino Royale, the designers were careful to create a retro set which slotted in nicely with 007 – old and new. In a tense scene featuring Craig as Bond and the inimitable Dame Judi Dench as M, the Barcelona chair admirably spans the ages. 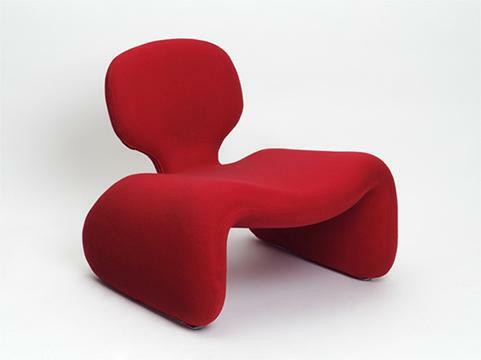 Danish designer, Henrik Thor-Larsen, came up with the Ovalia Egg Chair in 1968. 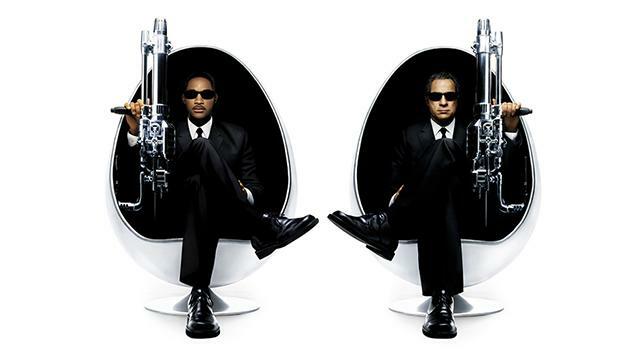 Almost 30 years later, Agents J and K, played by Tommy Lee Jones and Will Smith, are pictured neatly cocooned in the elliptical shaped chairs in the hit Sci-Fi movie, Men in Black. 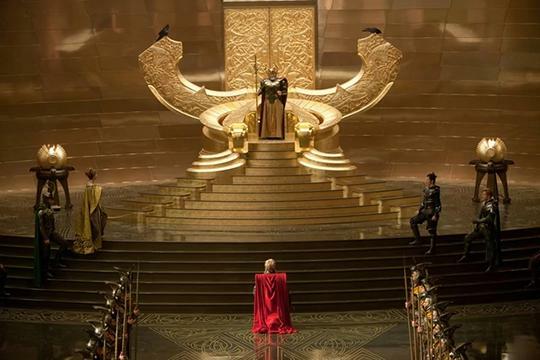 With sweeping lines and finely executed carvings, Odin’s Throne is a jaw dropping feature in Kenneth Branagh’s 2011 superhero film, Thor. It’s the majestic seat of Odin, the King of Asgard who, together with his army, defeats giants to seize The Casket of Ancient Winters. A banged up Chesterfield armchair may seem like an unlikely prop for The Matrix, a dystopian nightmare released in 1999. 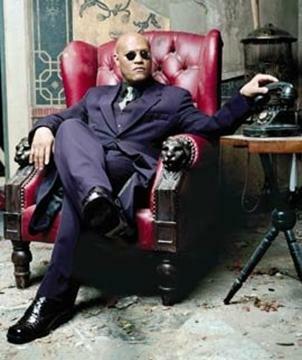 In a shared simulation of the world, Morpheus, played by Laurence Fishburn, chills out in a faded red padded leather wingback with his trademark inscrutable expression on his face. 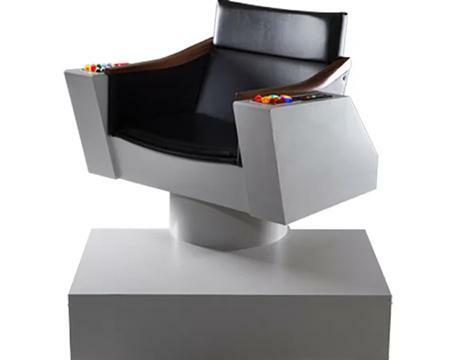 The Command Chair on Starship Enterprise is where decisions are made, battle lines are drawn, and good old Captain Kirk takes the weight off his legs. It’s a futuristic sci-fi seating arrangement with fingertip access to the ship’s controls – and one of the most iconic movie props ever made. 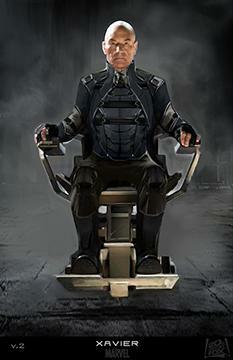 Professor X’s chair may not be that memorable in design but it has levitation capabilities that’ll make grown men cry. It’s one of several innovations that ensured XMen: Days of Future Past was one of the highest grossing movies in 2014. At K-Mark, we don’t make or trade in chairs for the movies, but we do manufacture an extensive range of high-quality low-back, mid-back and high-back office chairs – and our chairs are used by leading corporations across the country. Contact us for more information or to discuss your needs.